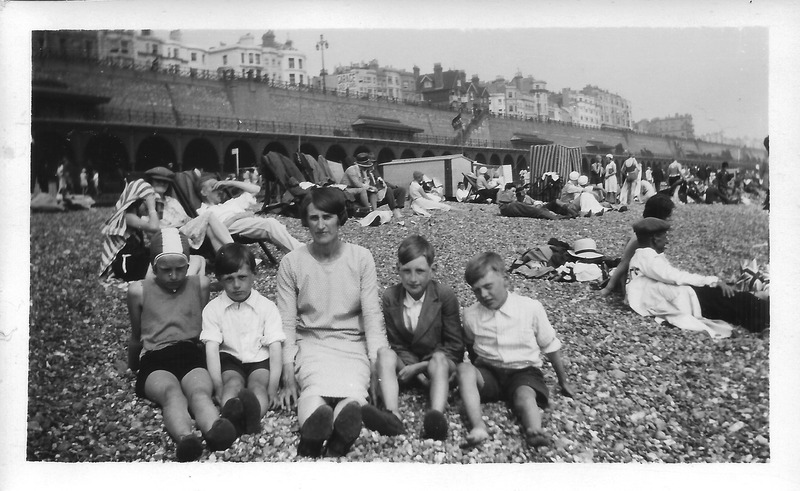 Looking back at photographs of long ago summers spent on Brighton beach I suddenly noticed something. I have been trying to catalogue the photos into date order, and have noticed some were taken around the same time. 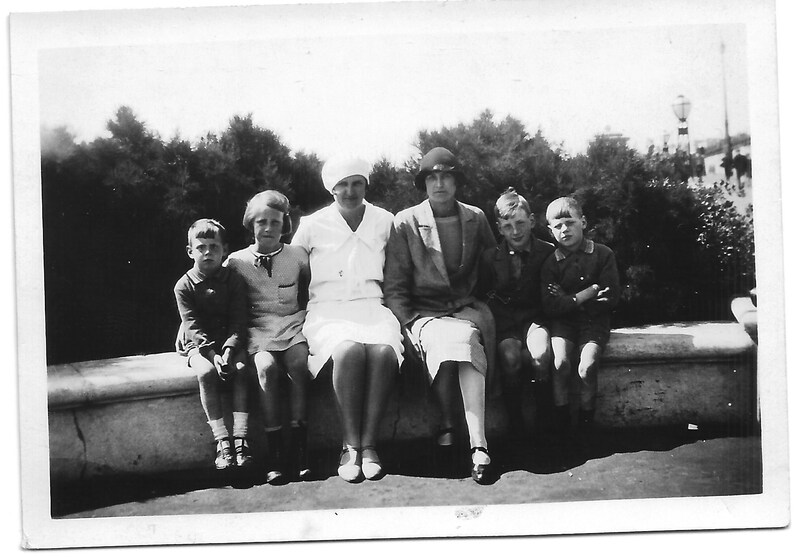 Thank goodness for whoever wrote the dates on the reverse of the photos, I would guess it to be my grandmother, Annie Cleeve. 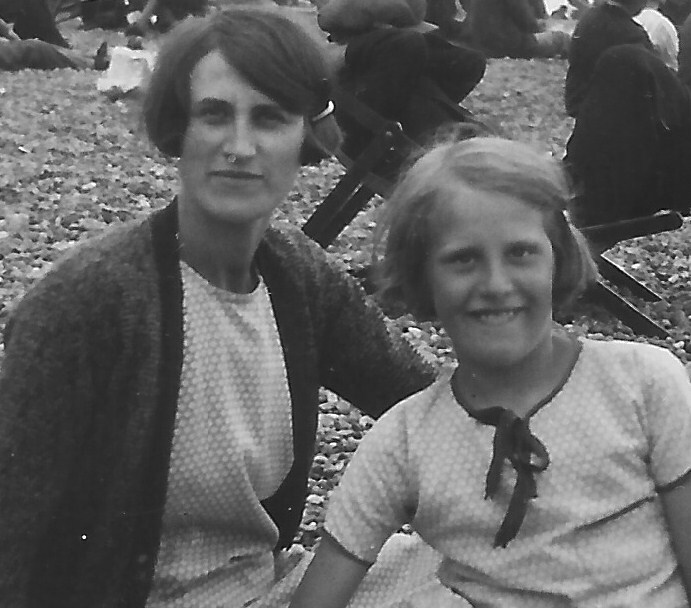 Here are a couple of photographs taken on Brighton beach on the 5th August 1931 of Annie Cleeve and her daughter, Nancy Dora Dinnis. By zooming in I noticed Annie and Nancy were wearing dresses made from the same material. Same dress material, same hairstyle, same hairclip …. Nancy is wearing the same dress. I am now wondering if Annie was good with a needle and thread and made the dresses from some material, or if she knew someone who was a dressmaker? 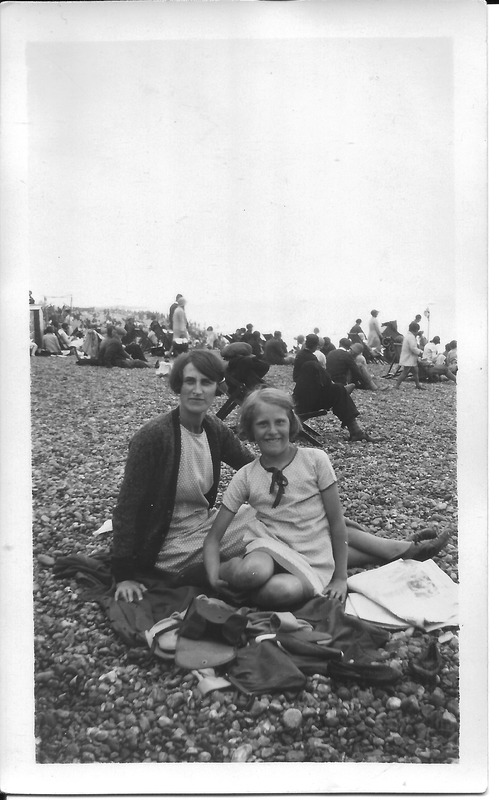 This entry was posted in Annie Cleeve, Nancy Dora Dinnis and tagged 1930s Brighton, Brighton, Brighton beach, dress, dressmaker, material. Bookmark the permalink. I wish I knew the answer to your question, but unfortunately I don’t. I don’t recall her ever showing dressmaking skills. Maybe the dresses were bought? I just have no idea how Nannie would have shopped for clothes? I’m off on a whole new hunt now – what shops were around in Brighton in the 1930s? The more I find, the less I know!